Ever wonder what treasures lie in the rocky world beneath your feet? 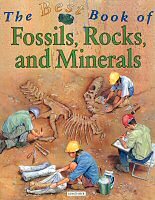 This book investigates everything about Earth's fossils, rocks and minerals - from their formation and uses to their amazing beauty and mystery. Detailed illustrations identify rocks and crystals. Step-by-step pictures show how fossils are formed over millions of years. Full-page scenes reveal the Earth's breathtaking landscapes. The Best Book of Fossils, Rocks and Minerals is the perfect book for the budding explorer. Find out how to recognize rocks and become an expert fossil hunter. Discover the mysteries of minerals and learn all about the Earth's precious treasures from gems and metals to coal and oil. 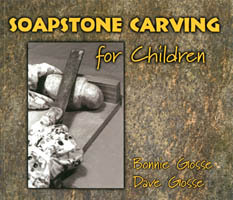 Detailed illustrations and informative text allow readers to mine this fascinating subject. A useful reference section includes an illustrated glossary and a comprehensive index. Hard cover, 9.5" x 11", 31 pages. There are over 80 different dinosaurs and prehistoric animals shown inside this sticker book. Each one is clearly described, and illustrated with a black and white picture. A pronunciation guide is given for the name of each animal in the book. Also given isa a head to tail measurement, along with the period in which the animal lived. Can you find the right description to go with each picture? Soft cover, 7.5" x 10.5", 24 pages. Dig into Planet Earth with these 50 nifty activities. 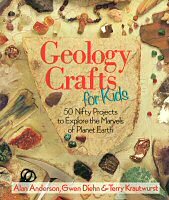 Have mountains of fun searching for all kinds of treasures right beneath your feet as you learn about different kinds of rocks and minerals, volcanoes and earthquakes, planetary placement, and much more. Make sandstone just like canyons in the Southwest. Imitate the look of marble with special coloring techniques. Make a fossil cast that looks a million years old. Make a homemade seismograph to measure "quaking" movement. Build with miniature adobe bricks. Watch crystals grow. Bake cookies that look like metamorphic rock (but taste great!). 43 more hot projects! Fun, entertaining and educational, the promise hours of adventuresome fun. Soft cover, 8.5" x 10", 144 pages. What if we could open up our planet and look inside? From its red-hot core to the highest mountain peak, come see Earth as you've never seen it before in a colorful introduction to the powerful forces shaping our home. This geology primer will help clarify the concepts for the youngest learners. This primer answers the question what are rocks and minerals? It describes and illustrates The Rock Cycle, Igneous Rocks, Volcanic Rocks, Sedimentary Rocks, Changed Rocks, Grand Canyon, At The Seashore, Fossils, Minerals, Ores, Gemstones. Rocks From Space, and Using Rocks and Minerals. 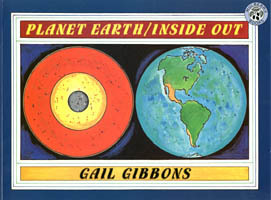 Includes a glossary of geologic terms. Soft cover, 8" x 10", 32 pages. Which Crystal can grow as big as a person? How can plants turn into rocks? What is the Grand Canyon made of? 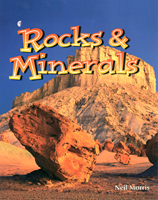 Rocks and Minerals My First Pocket Guide answers these and many more questions as it leads the reader on an exploration of the world beneath our feet. Photographs and illustrations help the student find and identify many rocks and minerals, from glittering fool's gold to twisted rocks from outer space. Large print. Soft cover, 4" x 6.5", 80 pages. Create your own picture book with over 60 bright full-color stickers. The ultimate collection of rock and mineral stickers, ideal for home and school projects. 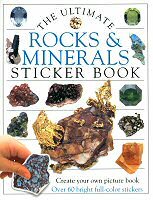 In a special eight-page section you can create your own book of rocks and minerals using your favorite stickers. Each self-adhesive sticker is easy to peel off, and can be used more than once. Fact-packed labels accompany every sticker. Soft cover, 8.5" x 11", 8 pages.